Barbara Harris started singing in her hometown churches at an early age, and moved to Queens, New York at the age of eleven. In high school, Harris joined a group with four other young singers: Barbara Parritt (later Toomer), June Montiero, Betty Stokes and Betty Blocker. Stokes and Blocker eventually left the group, and Harris, Parritt and Montiero formed a trio. 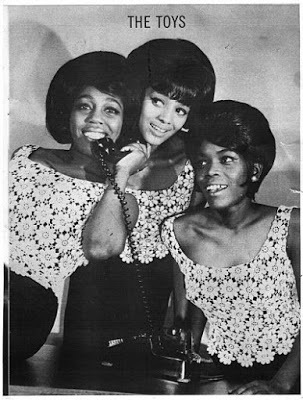 Bobby Uri, a manager and friend, named the group The Charlettes and got them work doing background vocals for several recording artists. At a talent show in Brooklyn they met Eddy Chase, who in turn introduced them to manager Vince Marc and songwriter/recording executive Bob Crewe. 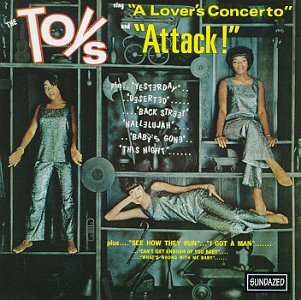 The group became the Toys, and landed their first recording contract on Crewe's DynoVoice Records.